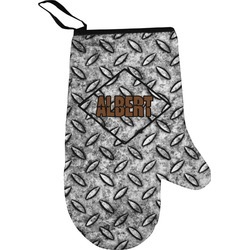 Slide your hand into heat resistant comfort when you use our personalized oven mitts. You should never have to choose between decorative and functional with kitchen essentials!! The mitts have a full design on the top and textured surface on the bottom for easy grip. It will insulate for temperatures of 320 degrees or less. They also have a loop on the corner for easy hanging and black trim around the top. Use them in the kitchen, while grilling, or to even unscrew a hot lightbulb. In our design center you get to decide exactly what your oven mitt looks like. Create a fun design with a background, font, text, ribbon, and more. Have fun designing and ask us any questions you might have! 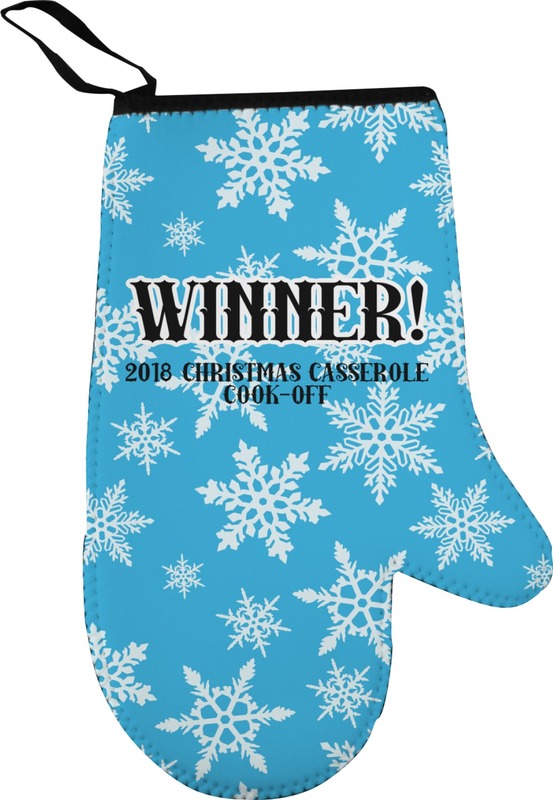 We also have a left oven mitt, pot holders and oven mitt and pot holder sets. Check out our Kitchen department to find even more great products. We have kitchen towels, cutting boards, and more! 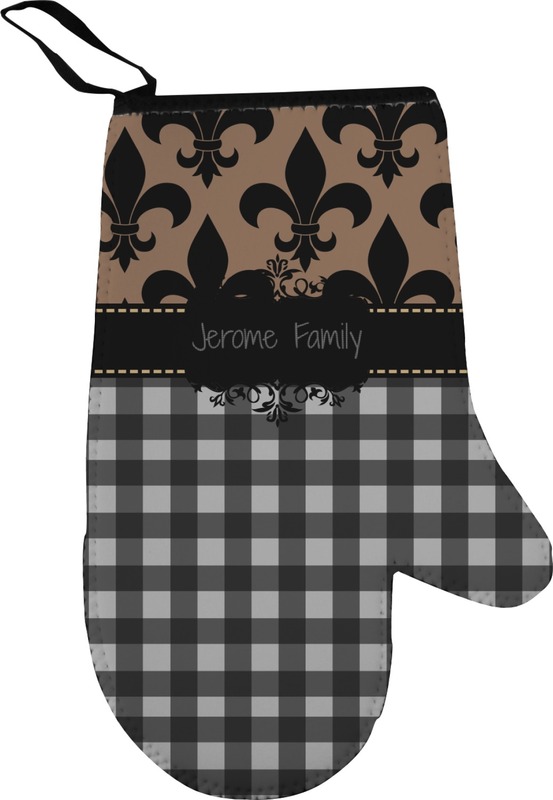 There were many different prints to choose from in designing this mitt, it was easy and had a very quick delivery. we think our nephew will love it! Delivery was lighting fast! 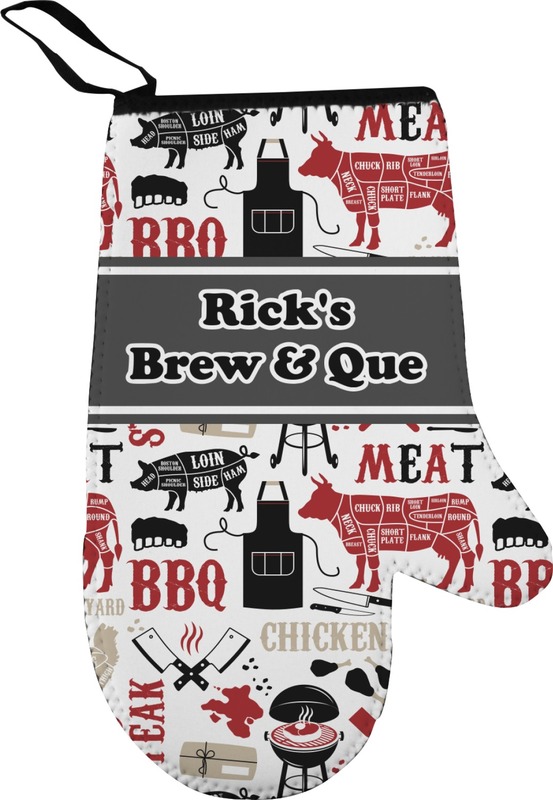 Product arrived and the whole family was impressed with not only the quality of the personalized lettering but with the quality of the fabric and heat safe backing to the potholder. It will be perfect for our event! It was more than I expected! Amazing! I loved the fact that I could design around my decor versus just settling.